Matador’s Enamelled Cast Iron Wok is the perfect stir fry accessory for your BBQ, allowing even cooking at ultra-high temperatures. 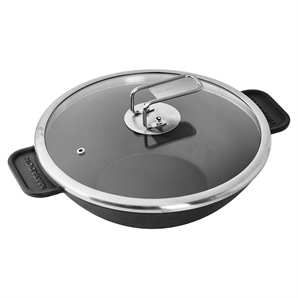 Crafted from enamelled cast iron that cooks food quickly using the least amount of fuel, this wok is superb for steaming, boiling, poaching, stewing and deep-frying. 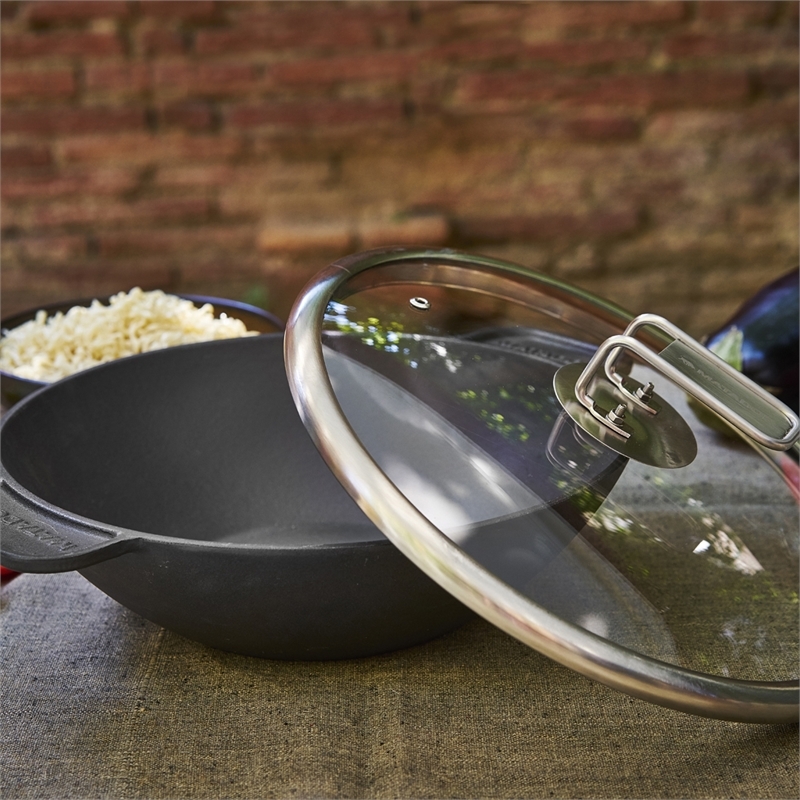 Featuring a tempered glass lid for easy monitoring and two handles for easy lifting, it’s all you need to go from cooking, to the table, with no fuss.